SANTA MONICA, Calif. (June 5, 2012) — In its ongoing mission to promote both sound quality and the overall art and craft of recording music, The Recording Academy®'s Producers & Engineers Wing® and Texas Chapter will host "Quality Audio – The Future Is Now," featuring GRAMMY® award-winning engineer Chuck Ainlay. As part of the GRAMMY GPS: Texas Summer Speaker Series, this event will offer members an up close and personal opportunity with Ainlay, who will discuss the current and future state of audio quality. This series will take place on Saturday, June 16, from 2 – 5 p.m.at the Studio CBC (located behind the Community Church, 2477 North Loop 1604 East in San Antonio, TX). Recently Ainlay opined on the state of high-resolution audio in today's music industry: "Mastered for iTunes, HD Tracks and premier headphones are all new consumer indications that there is a demand for high resolution audio. We have to stop thinking that just because people have been listening on ear buds to low-res downloads, that is the way it will always be. The music we record today must exceed the resolution of tomorrow." "We strive to provide our membership the most up-to-date information on the current state of recording technology," stated Maureen Droney, Sr. Executive Director of the P&E Wing. "Our session with Chuck Ainlay reinforces the Wing's position to advocate and educate on how important the role of sound quality is in communicating the artist's vision in recorded music. Chuck's passion for this subject along with his extensive and ever-growing discography puts him in the perfect position to share a unique insight on these topics." The program will be followed by a catered networking reception providing members the opportunity to continue the conversation. Admission is free for Recording Academy members. RSVP at RSVP_Texas@grammy.com. Multiple GRAMMY and ACM Award-winning producer/engineer Chuck Ainlay is one of Nashville's top recording engineers and a leading pioneer in the world of surround sound. Currently a member of The Recording Academy Producers & Engineers Wing Steering Committee, he has recorded and mixed more than 200 albums, including work with legendary country music artists Chet Atkins, the Dixie Chicks, Reba McEntire, Vince Gill, Emmylou Harris, Waylon Jennings, Miranda Lambert, Lyle Lovett, Willie Nelson, Dolly Parton, George Strait, Sugarland, Taylor Swift, and Lee Ann Womack. In addition, Ainlay has placed his distinctive production and engineering stamp on projects with mainstream pop artists such as Mark Knopfler, James Taylor, Peter Frampton, Lionel Richie, Melissa Etheridge, Everclear, Chuck Leavell and Sheryl Crow, earning him widespread international recognition. 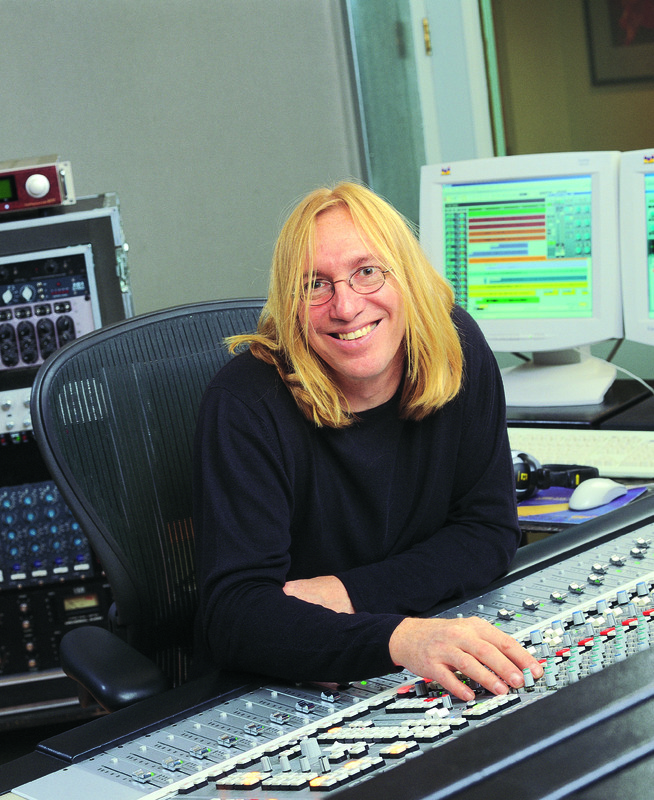 His work in 5.1 mixing has resulted in ground-breaking projects such as the 25th anniversary surround remix of Peter Frampton's Frampton Comes Alive and the GRAMMY-winning 20th anniversary surround remix of Dire Straits' Brothers In Arms.